Nobody likes waiting. Whether it is in the line at the grocery store, waiting in traffic, waiting in a restaurant, waiting for elevators, or waiting for a flight, waiting is time.. and time is money. When customers are kept waiting it usually results in frustration. It is also one of the top complaints and reasons customers are unhappy with a business. The same holds true regarding timely care in medical practice. 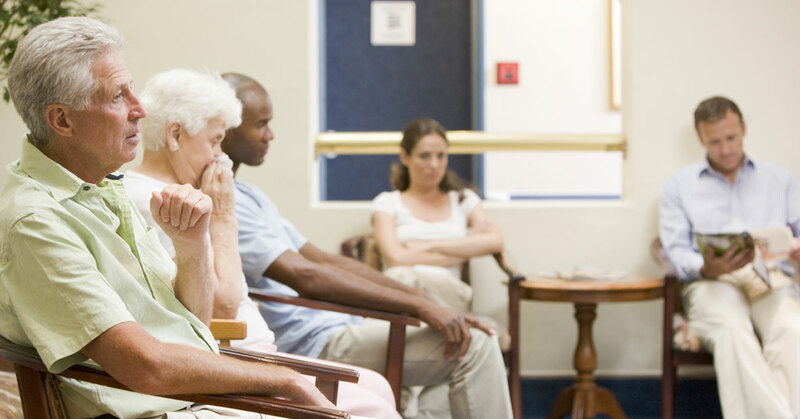 One of the top grievances by patients about their providers is regarding wait times. In fact, surveys have found that 97% of patients get frustrated over wait times, and overall patient satisfaction decreases as wait time increases. 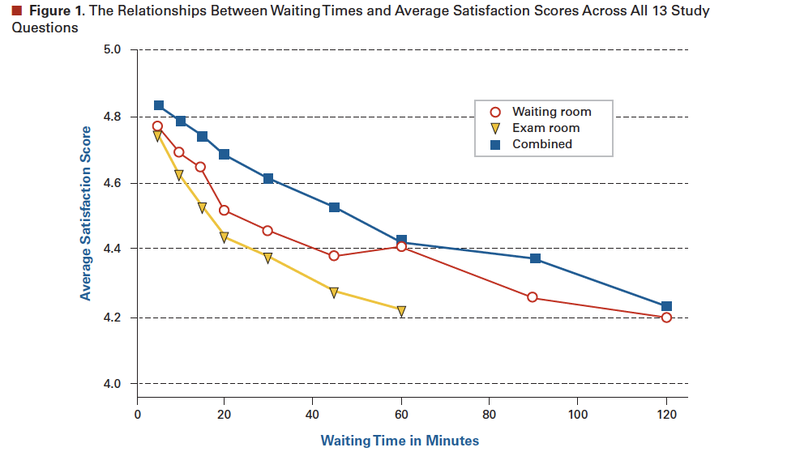 Wait times in the U.S. are on average about 19 minutes. However, many patients find their wait to be much longer. At what point is the wait time unreasonable? 30 minutes, 45 minutes, 1 hour? How long will patients actually wait? According to a survey reported by Becker’s Hospital Review, eighty percent of respondents said being told the wait time would help minimize their frustration. Keeping patients informed about wait time is often more important than the actual length of the delay. It is also important not to assume the patient can wait. If the provider is running late, make sure staff asks the patient if they are able to wait. Seventy percent of patients said an apology from the provider or practice would minimize their frustration. Unoccupied time feels longer than occupied time. Offering free internet, keeping a television with health-related material running, having information available regarding common illnesses and treatment options, having new magazines with current issues, providing a “goals for my visit” worksheet for patients to write down what they would like to discuss with the physician or accomplish from their visit. These are all simple ways to pass the time while helping to ease patient anxiety. It is important to let patients know they haven’t been forgotten. Instruct staff to provide ten-minute updates on the wait and consider offering water, coffee, tea, or a small snack. Having a staff member perform waiting room ‘rounding’, especially when patient waits are approaching 30-40 minutes or so, can be very effective. While most waits cannot be avoided, it is in a practice’s best interest to consider implementing ways to help improve the wait experience. By easing the wait, apologizing when necessary, and providing better communication, patients are less likely to be frustrated and more likely to be satisfied with their overall visit.